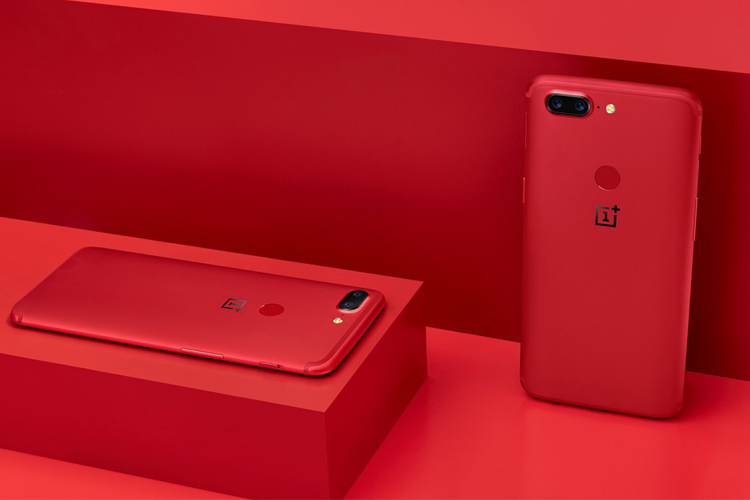 OnePlus had launched the Lava Red Variant of its latest flagship in India last month, but it went out of stock on Amazon pretty quickly. Now, the company says the device is back in stock to mark the upcoming Valentine’s Day. Moreover, the Chinese smartphone maker has also announced some attractive offers for buyers looking to get their hands the OnePlus 5T (any variant). The offers will last from February 7 to February 11. According to an official OnePlus press release, those who buy the handset from Amazon can get an instant discount of up to Rs. 1,500 by using an SBI credit card. Customers will also be eligible for 3-months of zero-interest EMIs during these five days. Customers looking to buy from the official OnePlus web store or the OnePlus Experience Store will be eligible for a Rs. 1,500 cashback. They will also be able to take advantage of an exchange offer that Oneplus says will give them the “assured best value on exchange of their old smartphone”. All offers, as mentioned already, are applicable to all OnePlus 5T variants, and not just the Lava Red model, which comes with 8GB of RAM and 128GB internal storage. Buy the 6GB / 64GB OnePlus 5T for Rs. 32,999 on Amazon India. Buy the 8GB / 128GB version of OnePlus 5T for Rs. 37,999 on Amazon India. OnePlus has also announced a new referral program for customers who bought either the OnePlus 5 or the OnePlus 5T before the 30th of January. As per the announcement, all such customers will get two referral codes via email. If anybody makes a purchase with these codes, both the referrer and the new buyer will get a warranty extension of up to three months each. The referrer can even get up to 6 months of warranty extension if their referral codes are used two or more times. The company is also offering the first 500 successful referrers and referees a pair of Bullet V2 earphones each.